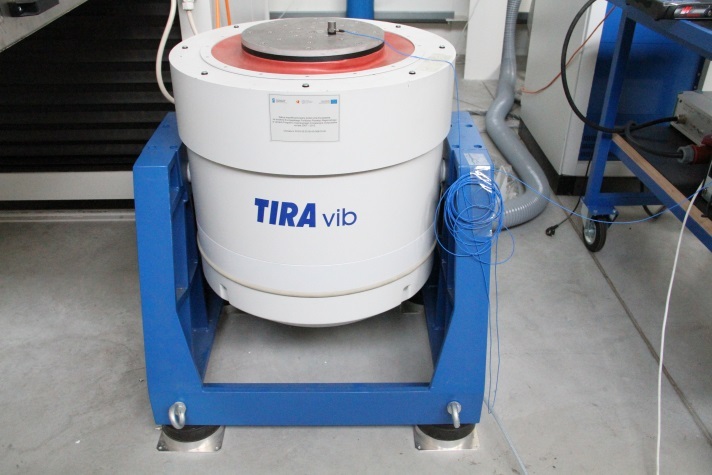 The Materials Research Laboratory performs vibration tests using the TIRA electro-dynamic inductor type S 57315/LS – 340. 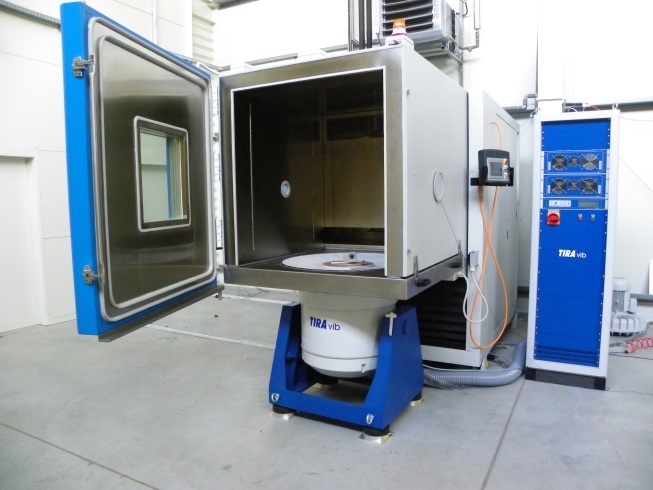 The vibration tests are perfectly suited for the automotive and aerospace industries, as well as for the electronics and defence industries. know the dynamic properties of the structure. tests applying a sine signal (max. strength of 15kN) – this type of test is applied for structures operating in the vicinity of rotating elements such as motors. tests applying a random signal (noise max strength 15 kN) – applied for structures subject to random stresses, e.g. in transport – elements installed on vehicles, electronics, etc. impact resistance tests (max. strength 42kN) – applied for testing structures that are exposed to large acceleration amplitude vibrations e.g. in the defence industry or transport simulations. stability tests – tests consisting of putting a structure in resonance and keeping it in that condition using a sine signal. The station is equipped with a laser vibrometer PDV – 100 by Polytec and fittings and software intended for analysis of rooms, velocity and acceleration.